You might have seen people at call centers fixing PC problems of remote clients by accessing their desktop right from his/her premises . The problem can be anything from a simple computer setting to viruses issues . In these situations the executive would need a remote desktop sharing applications like Teamviewer or Logmein free . Teamviewer is one of the best free full function remote access software for Windows and Mac .Teamviewer users can control the connected machine as they like .They can shutdown reboot ,change settings ,passwords and many more . 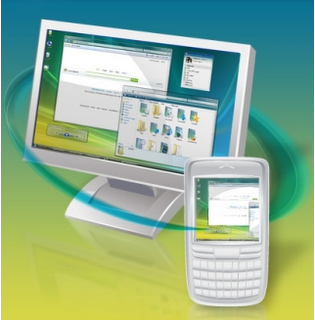 Teamviewer application is free for personal use . Logmein on the other side is an advanced commercial remote access application that also provide free stripped down versions for personal use . Remote desktop sharing has a dark side with security vulnerabilities that each user should take care of . 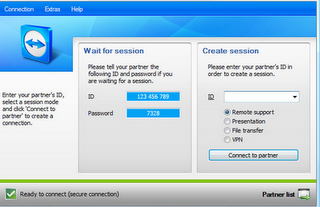 Teamviewer is one the mostly used remote access software . Here the both the machines participating in connection need to download and install the Teamviewer application . There should also a high speed broadband internet connection . It is mainly used for online technical support and file transfer . 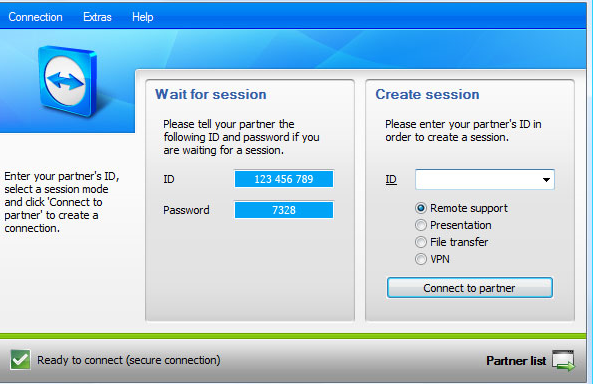 After installation it generates a username and password that can be used connect both sides .Teamviewer can run as a Windows service or Windows application . In Windows service mode it generates a new password at each event of connection . Windows service is mode is best suited for servers and situations where there is no one on the remote side . There will be a permanent password so that remote machine can be controlled even before boot login . After connection you can select to create a new session . There is remote control or support ,presentation ,file transfer and VPN modes . The VPN connection if used provides extra security during remote file transfer and control . 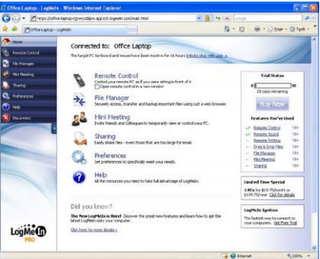 The full help of creating a remote Teamviewer connection to remote PC is available with this download. Logmein free edition is very limited in functions .But the pro versions have unlimited remote control and support options .They even have an iPhone app to access PC or Macintosh machines on the go . The both machines should have Logmein installed and themselves added the account during download . Here the remote internet control of the two computers is done though a web interface .Full help to configure Logmein for Windows is available via this help guide . The application will be full version for the first 2 hours of connection or 30 days. Make sure that you share your desktop to an authorized service personal or the one whom you trust . This is a solid service and I’ve heard good things about it, but generally i’ve heard that the free versions of remote control softwareare not as robust as paid versions like the one I have linked to. Is this true? What is the experience of the readership? I’m a small business owner and I’m wondering about the consensus so i can make a decision for my operation – usability is key here cause I don’t want to be paying through the nose to train employees how to perform obscure setup procedures.